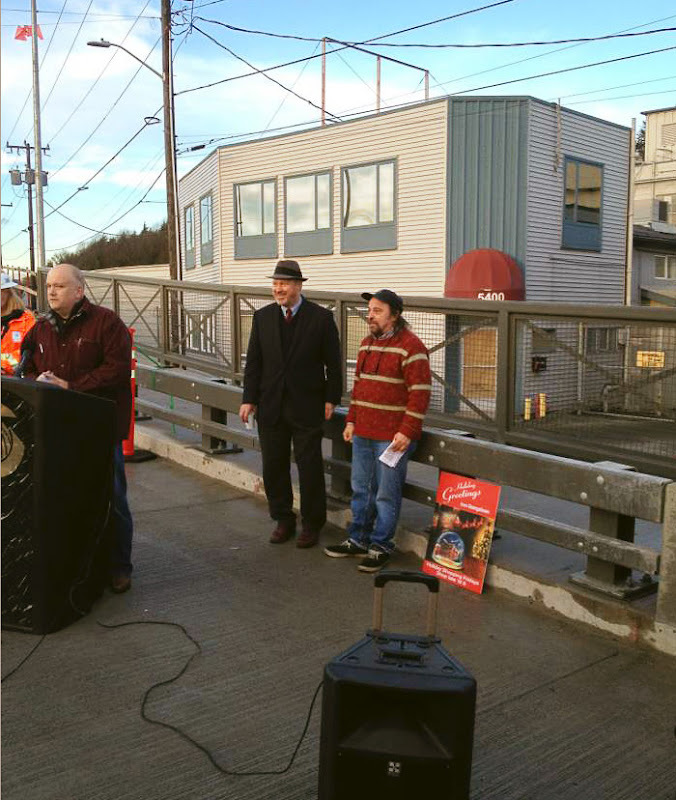 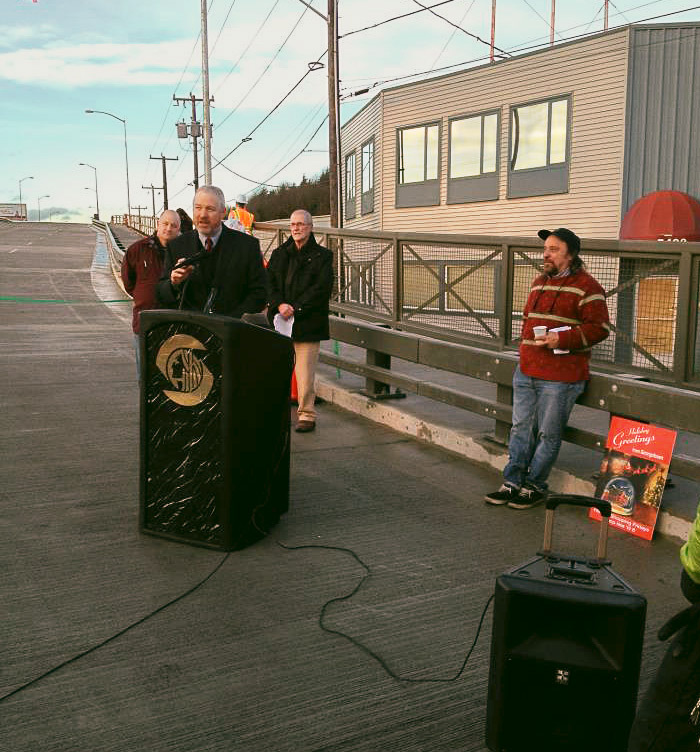 Mayor Mike McGinn, GMA chair Larry Reid and others repair the ARGO viaduct at the north entrance to Georgetown with a big pair of scissors. 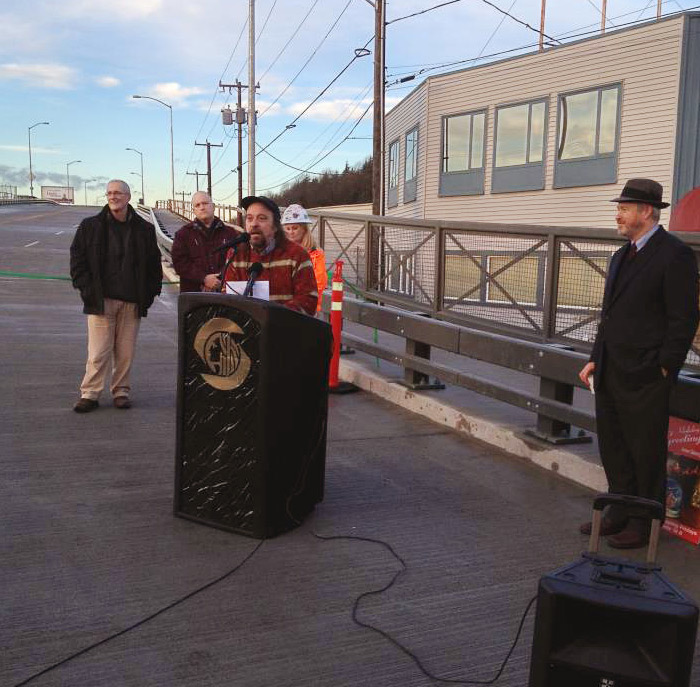 After 13 months, Airport Way S. is unobstructed again. 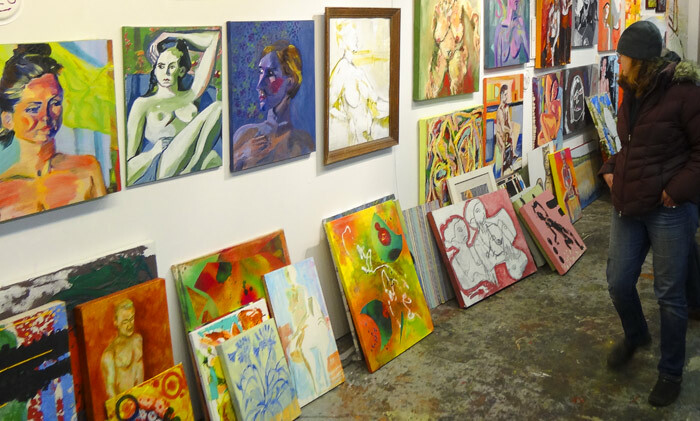 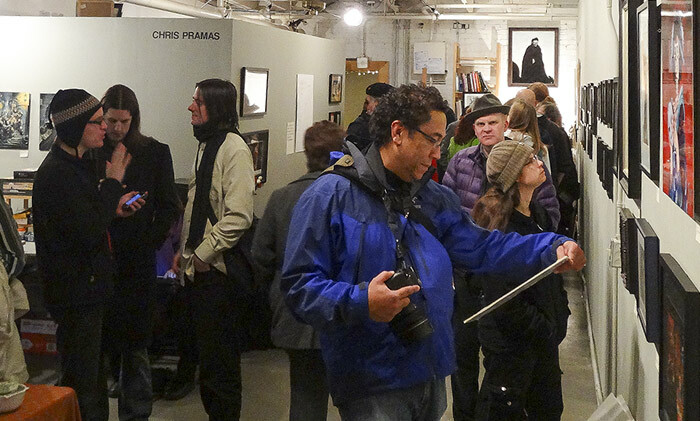 Miller School of Art hosted a Huge Holiday Show, where most of the pieces were under $50! 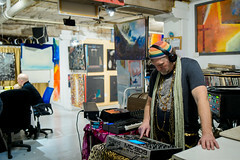 “Outside the Box” a presentation of past and present artists at LxWxH Gallery. 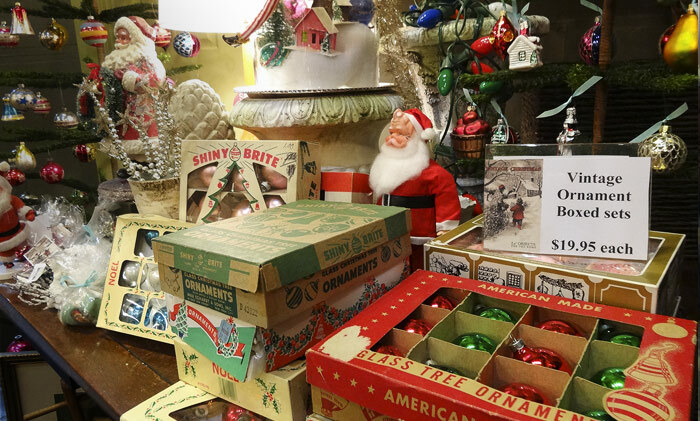 Just a small sample of the fabulous selection of vintage Christmas treasures at Le’Objects for the Home. 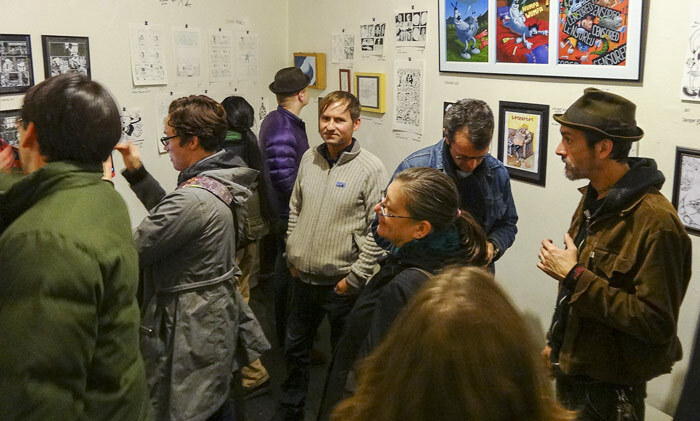 “The Little Book of Pain” art show and book launch of illustrator Anthony S. Waters, at Krab Jab Studio. 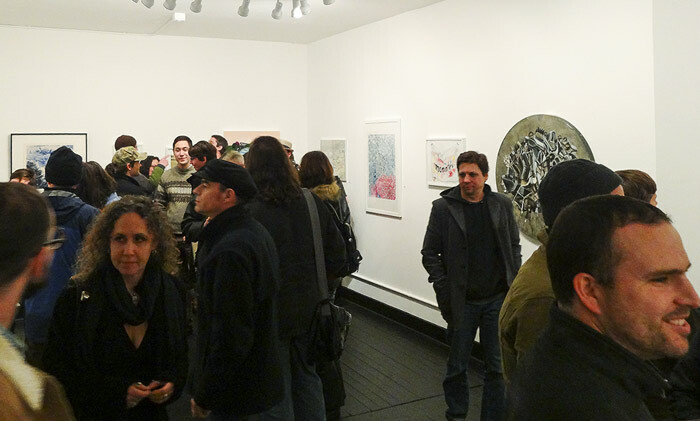 “Sequential Matters” at One Night Stand Gallery. 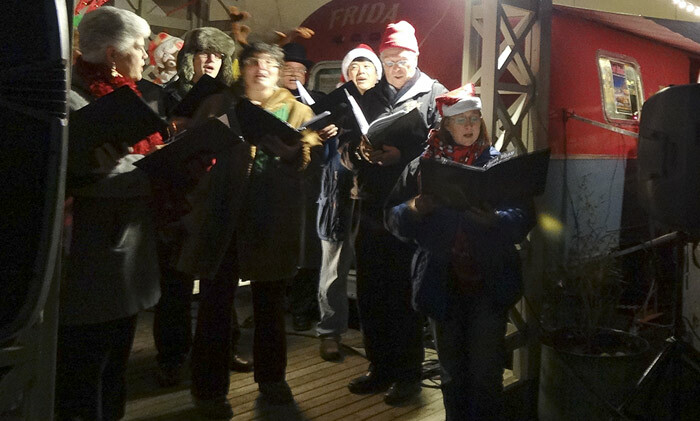 The Choir of the Sound wandering carolers on the Georgetown Trailer Park stage. 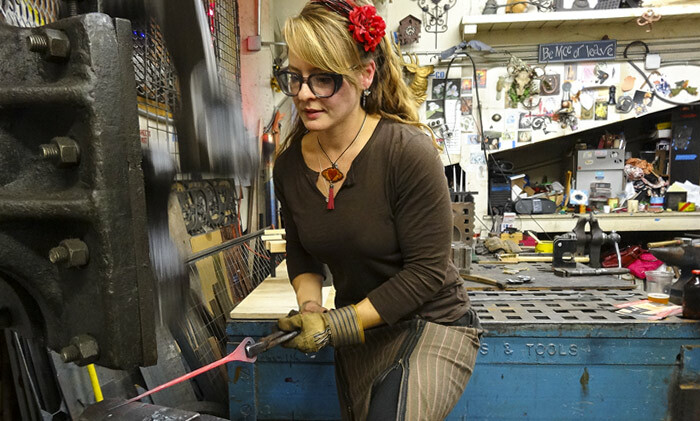 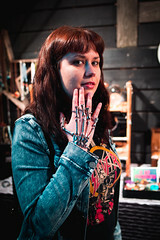 Lisa Geertsen of Firelight Forge, just one of the many talented artists at Equinox Studios. 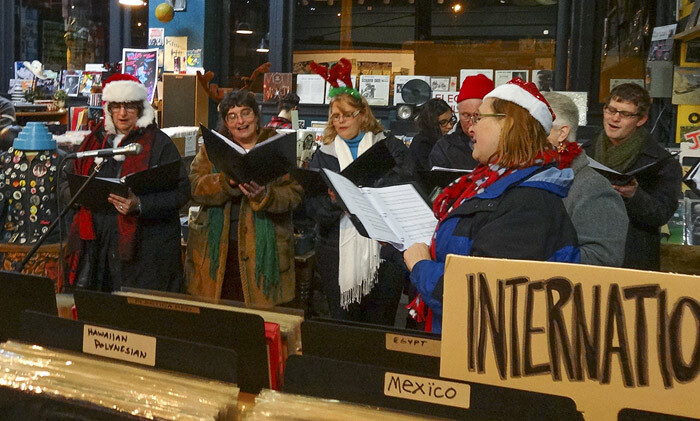 The Choir of the Sound wandering carolers spreading the holiday cheer at Georgetown Records. 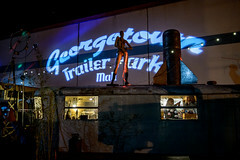 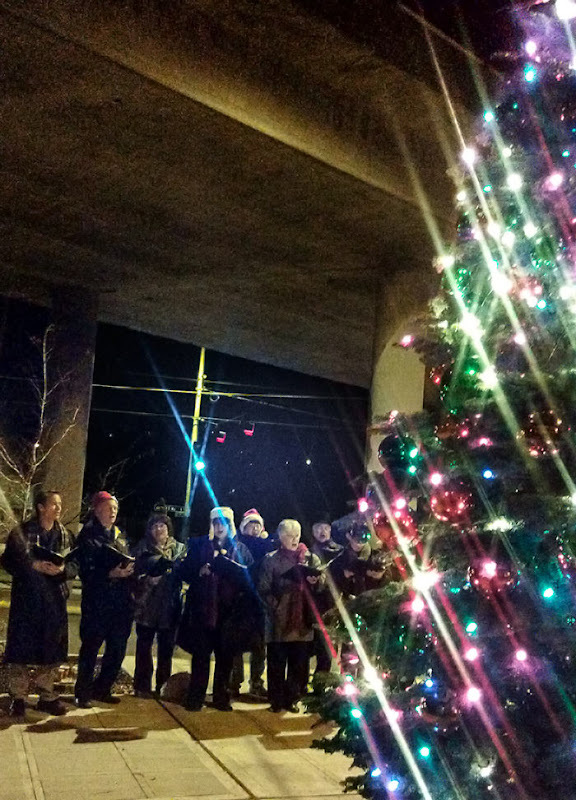 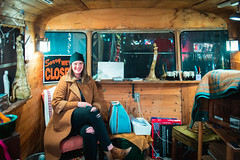 The Georgetown community celebrated the holidays in grand style at the December Art Attack with the first annual tree lighting ceremony, and the Choir of the Sound wandering carolers. 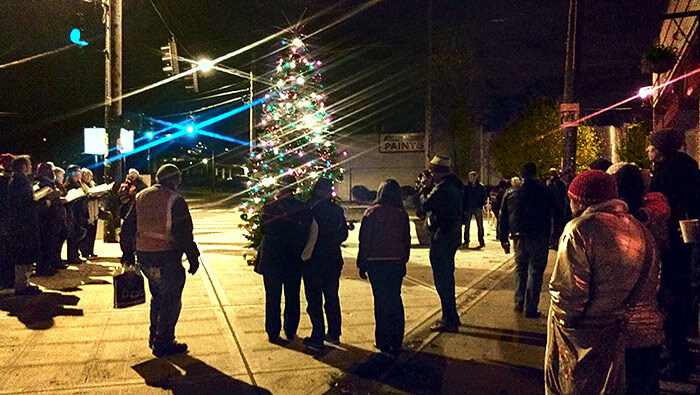 The tree is at Airport Way S & 13th Ave S plaza, next to Ground Control.